Living in Mumbai can get hectic. A lot of times, the beaches in the city are just not enough, either due to the fact that it is perpetually crowded or because you need something new. If you are craving for a quiet and quick escape to a beach, then Bordi is your answer! 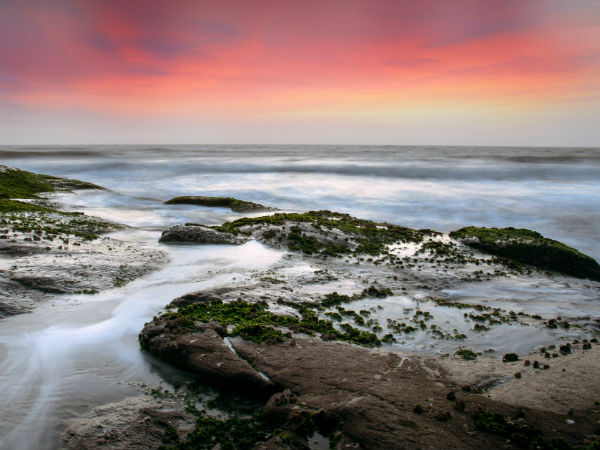 Bordi is a small coastal town, located about 155 km from Mumbai towards the north. The picturesque town of Bordi is lined with rows of chickoo plantations and the place has an untouched and serene beach, which is the main attraction of the town. The Bordi beach has sticky, blackish sand that is clean and tranquil. The main community of people that live in Bordi are the Parsis. The people of Parsi community here are warm and friendly. Many of them own a few bungalows in and around Bordi, which they rent it to tourists. You can have their delicious Parsi cuisine while spending time in the nature's beauty. The best time to visit Bordi would be the winter months of October to February, when the weather is balmy and affable. The temperature might dip down to a pleasantly cool 12 Degree Celsius during this season. Visit these places on the way to Bordi. The first place of interest on this route is Thane, a metropolitan city located 22 km from Mumbai. Thane is famous for its water parks and lakes. The Upvan Lake is the main attraction of city, visited by locals and tourists. Many events happen near the lake throughout the year. Tikuji Ni Wadi and Sanjay Water Park are the two amusement parks located a few kms from Thane. Perfect for the kids, these parks have all sorts of games like water slide, giant wheel, wave pool, etc. About 36 km from Thane lies the town of Vasai. This town is filled with interesting places to visit such as Chinchoti Waterfall, Ganeshpuri temple, Suruch Baug and Vasai Fort. The Vasai Fort, also known as Bassein Fort is a relic from the era of Portugal reign. Although the fort is now in ruins, it attracts many tourists and even film-makers due to its rustic and historic beauty. Well-known as the "Gateway of Palghar", Manor is the first town that you see in the district of Palghar. Manor is a picturesque town that is much sought after by Mumbaikars since it is surrounded with undisturbed nature. Manor has a few beautiful resorts that you may opt to live in. They are located amidst nature and some even have private water parks. Dahanu is a beach town located just a few kilometres before you reach Bordi. This town is also lined with a number of beautiful beaches and chickoo plantations. Mahalaxmi Mandir is the main attraction of Dahanu, apart from the beaches of the town. The highlight of this temple is the 15-day celebration of the Goddess Mahalaxmi, which commences on the day of Hanuman Jayanti. As previously mentioned, the Bordi beach is a tranquil and beautiful virgin beach that can be your ideal getaway destination. The water level does not rise beyond the waist level, for almost half a kilometre from the shore. This makes it a perfect place for a picnic with your family, romantic walk with your loved one or a safe and clean place for your kids to play. Some of India's best chickoo orchards can be seen lined up near this beach. Located in the Umbergaon, Kalpataru Botanical Garden is said to be in a marine village. The village is filled with lush greenery and many beautiful trees surround the Botanical Garden. The garden is in its best form during monsoon. Most parts of the famous TV show Ramayana was shot right here by the Vrindavan Studios, which is also located in this village. The Bahrot Caves is the only Parsi or Zoroastrian cave temple in India, and is located in Bordi. It is a historically significant site for Parsis since pottery, glassware and coins from the last Zoroastrian Dynasty of India was found here. It is believed that Zoroastrian ancestors took refuge in this cave for almost 13 years during 1351 AD, in an attempt to hide from Muslim invaders. The caves are carved on the Bahrot mountain, which forms the outline of Western Ghats and is at an elevation of 1500 ft. The holy flame in this temple has been kept burning for centuries. Asavli dam is located on a green lake, and has an astounding dimension of about 78 ft height. It is flanked with majestic mountains of the Western Ghats and lush green fields of a village nearby. The Asavli Dam is a favoured picnic spot since it is located in the depths of nature, with a fantastic view of the mountains and greenery everywhere.